Meets or exceeds ASTM F1677-96 Mark II non-slip testing standards. Meets or exceeds ASTM F2412-11 and F2413-11 I/75 C/75 EH standards. 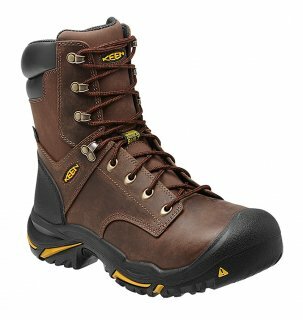 This waterproof work boot is made in the USA and designed to take on the toughest jobs. It offers extra ankle support and a direct-attach midsole for long-lasting comfort and durability.